The spin off series of the award winning drama Breaking Bad, Better Call Saul predates the meth cooking Walter White and Jesse Pinkman. The show instead focuses on the eccentric lawyer Saul Goodman, who was originally seen as their sleazy and law dodging yes-man. Starring Bob Odenkirk (R), he starts off as the under achieving Jimmy McGill who has dreams of being an esteemed lawyer in the same vein as his older and more successful brother. We quickly learn that what Jimmy lacks in book smarts, he makes up in cons, mistruths, and scams. Giving into the temptation to his less than reputable nature, we see Jimmy struggle to stay straight shooting and honest throughout the show. Riding on the coattails of one of the most successful drama series of all time, Better Call Saul has endeavored to reach the same level of success as it predecessor. Better Call Saul was created by Vince Gilligan, who also helmed Breaking Bad. Gilligan’s presence is clear since Better Call Saul has stylistically maintained the same mood of the show from which it was inspired. The third season finale aired on June 17th, 2017. Each season has featured 10 episodes, each running about an hour. Winning a handful of awards, and being nominated for countless others, Better Call Saul only seems to be rising in popularity and success. 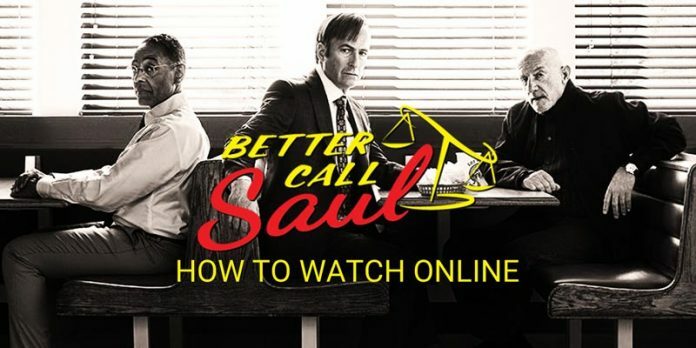 Due to the past popularity of Breaking Bad (R), and the current success of Better Call Saul, the demand to stream both of the shows has been tremendous. The entirety of Breaking Bad is available on almost every single streaming and a la carte platform. Better Call Saul has followed in its footsteps and has become widely available since its release. We will break down where the best places to find the show online below. As with many of the popular AMC channel shows, Better Call Saul has found its way on to a number of platforms. Most of the platforms will fit into the streaming habits of most avid television fans. 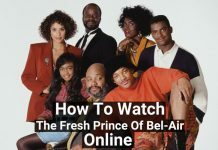 Some services will provide the ability to watch brand new episodes weekly, while others will carry the option of watching the first two seasons on demand. First and foremost, Netflix is always one of the best options when it comes to streaming past seasons of hit shows. And considering that Netflix is a staple in most cord cutters set of subscriptions, this is also one of the most value driven options as well. Netflix currently carries the first two seasons of Better Call Saul, with the ability to watch each episode in HD. Obviously, the third season (at this moment) has not been completed, but you can be sure that Netflix will hold a strong chance of carrying it after an appropriate amount of time. As with any show that Netflix carries, there is no guarantee that it will stay available forever through their subscription. So if you are looking to catch this show, it may be better to start watching sooner rather than later. As far as the current seasons are concerned, AMC (which carries the show) is available on most streaming cable channel packages, such as Sling Orange and Blue, Playstation Vue, and DirectTV Now. So this means as the new channels are released weekly, you’ll be able to watch them live via those subscriptions. If you want to try out the first couple episodes of the series, a la carte options such as Amazon Video, iTunes (R), and the Google Playstore (R) will all carry episodes for individual purchase. AMC.com- Intermittently, there will be select episodes available for viewing for free, albeit for a short period of time. Always check and see which episodes are currently offered for free through their website before going on to other options. Netflix-First and second seasons are available in full, in HD. Amazon Prime-Individual episodes or seasons are available for purchase. Playstation Vue- AMC is included in the base streaming package, so that means all new episodes will be available as they are released. DirectTV Now- AMC is included in the base streaming package, so that means all new episodes will be available as they are released.